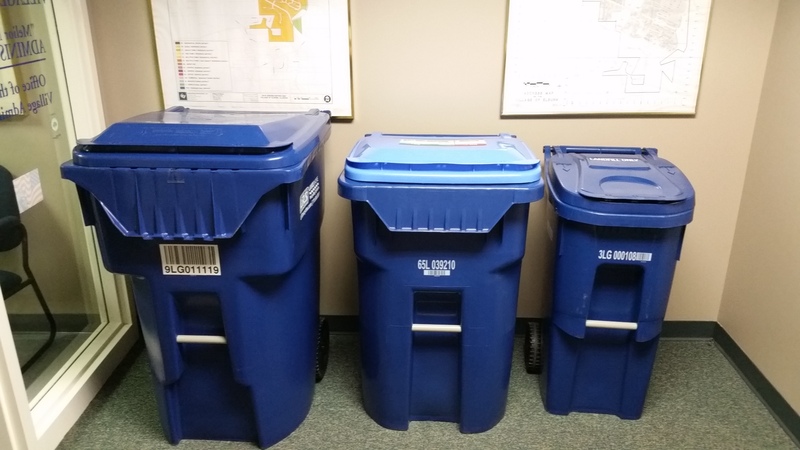 New garbage/recycling cart deliveries will begin on Monday, September 24 and will continue through the week. It is likely that not all carts will be delivered at the same time or on the same day. Lakeshore Recycling expects to have all carts delivered by Thursday, September 27. Residents have until November 1st to request or exchange carts at no charge. After Nov. 1, 2018, a $15.00 delivery/exchange fee applies. The first pick-up by Lakeshore Recycling is Wednesday, October 3. Please have your carts at the curb by 7:00 am. The pick-up times will change, but all garbage, recycling, and yard waste will be picked-up by the end of the day. Waste Management (WM) will pick up their carts starting on Wednesday, September 26, and finish by the end of the week. Please leave your WM cart at the curb for pick-up. Call Lakeshore at 630.581.8650 for questions about cart size or service or visit https://www.lrsrecycles.com/elburn/.